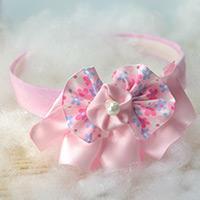 This handmade wrapped headband is designed for sweet girls! 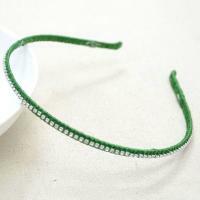 They will love the fashion hair accessory adorned with shimmering rhinestones. Want to make your own flower hair combs? 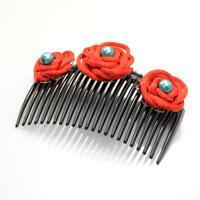 Here, I will just show you how I decorate hair combs with handmade thread roses by tying simple Josephine knot. Simple and amusing! 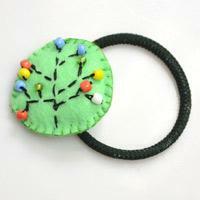 This tutorial is going to show you how to make a cute elastic hair tie with colorful seed beads and light green felt. 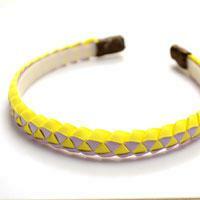 Here you’ll learn how to make braided headbands with ribbon. Once you understand this pattern and the skill, you can even make various ribbon headbands for your girls within a few time! 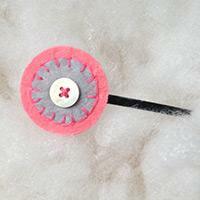 I’d like to share a super easy tutorial on making round felt hair clips this time. 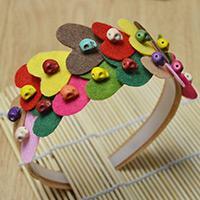 Are you interested in easy to make felt hair clips with simple embroidery design? 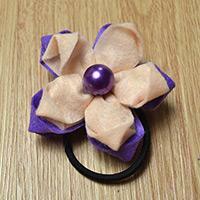 Find out how to make an embroidered felt hair clip through this tutorial! 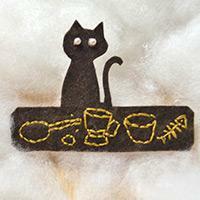 This is a felt cat hair clip pattern and it’s fun for me. How about you? 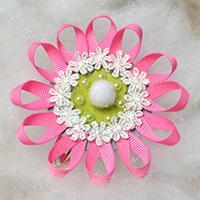 Today I will show you how to make a pink ribbon daisy flower hair clip. 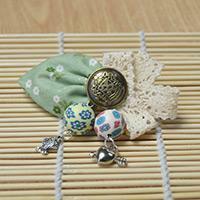 Since I attached a snap clip to the backside of the flower, I suppose that it is also suitable as a brooch. Do you like orchid? If so, you may like this orchid hair flower. Follow me to learn how to make a two-tone orchid flower hair tie with beads now! It’s quite simple! If your daughter loves pink all the time, she will be very happy if you take this chance to learn how to make sweet pink ribbon flower headbands for girls. 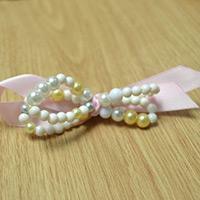 Here is a unique hair bow idea for girls to learn how to make a princess ribbon hair clip. It’s in princess style, not a princess shape! I will show you how to make a pink and green hair bow for girls today. 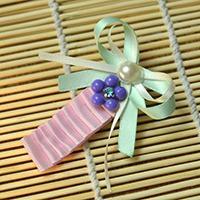 This cute hair clip consists of folded ribbon, bows and bead flower. 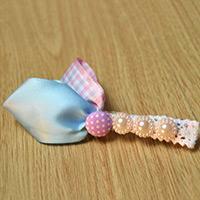 If you are looking for a tutorial on how to make a big lace bow hair clip, here it is! 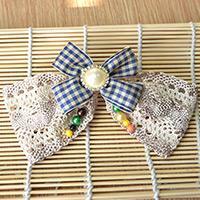 There are a big lace bow and two small ribbon bows in this hair bow. 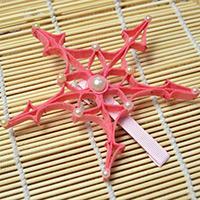 Today let’s see how to make a felt snowflake hair clip in pink. This is totally an ingenious way that will get you surprised. Wondering how to make a beaded bobby pin? 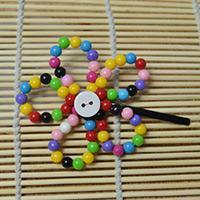 Here is a very simple instruction on making a rainbow beaded flower hair clip. Here is a colorful heart headband for little girls. 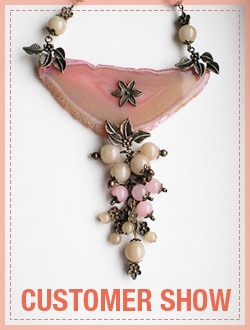 It is made of felt and beads in various colors, your daughter will love it. Keep reading to learn how to do! This tutorial is entirely about how to make a cute baby headband with flowers. 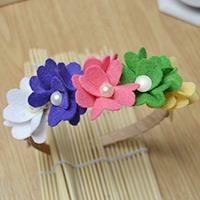 The flowers are made of felt and the headband is wrapped with satin ribbon. 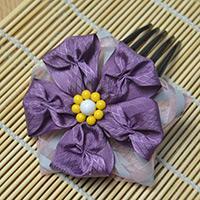 It only takes a little time to make a violet ribbon flower hair comb with satin ribbon, organza ribbon and some acrylic beads.